We all jumped in the car to go to Kent to see friends and there was a shout from Little D "turn the heating off Mummy needs a shot of this!" Luckily the camera was right at hand! Absolutely fabulous. Is this on the car windscreen? 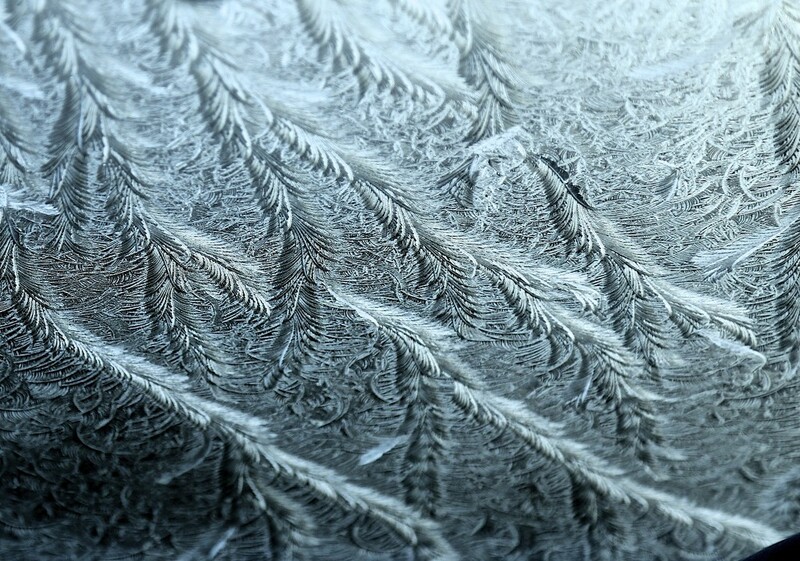 I remember frost like this when we lived in the UK. It makes such an excellent pattern, but far too cold for me these days. got to be a fav.